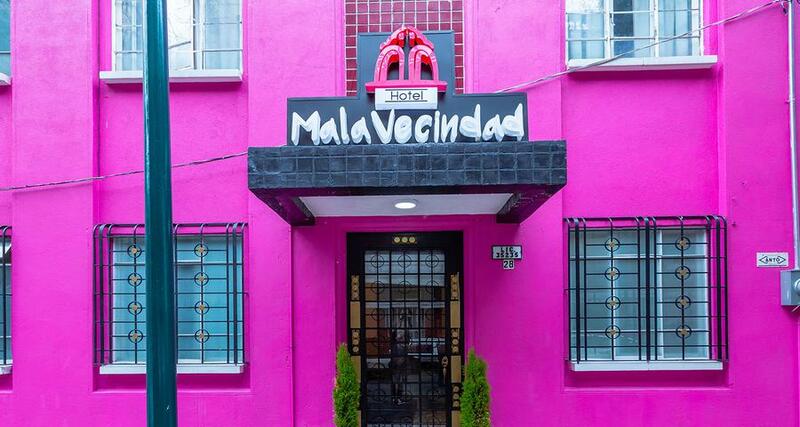 Mala Vecindad Beer Hotel is a 4* hotel located in Mexico City-Reforma area, Mexico. It features 31 rooms. Mala Vecindad Beer Hotel is located in the Buena Vista neighborhood, close to the historic center, making it an ideal place to stay in Mexico City. The building features nice architecture and the furniture that is part of the decor has been created with recycled materials. Due to the hotel's convenient location, you will find nearby restaurants with exquisite regional dishes and you will also enjoy easy access to most city attractions. The property features a meeting room, a breakfast room and a bar, among other useful services for your stay.